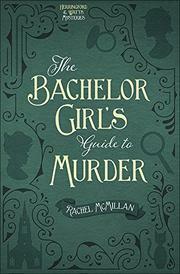 Two women form a detective agency and try to solve a murder in 1910 Toronto. Oh my! Constable Jasper Forth knows he’s getting himself in trouble when he’s talked into showing a friend a murder scene, but when the friend is as persistent as Merinda Herringford, it’s hard to say no. Merinda, who’s always felt she has a bit of Sherlock Holmes in her, is keen to conduct her own inquiry into the murder, and she calls on her Watson, Jem Watts, to assist. Two women trying to solve crimes is a bit much for Toronto in 1910, and there’s an uproar when Merinda cajoles Jem into starting their own detective business. Luckily for the pair, some of the uproar is good. There are a surprising number of female clients who prefer a delicate touch in establishing whose husband has done what and investigating other private affairs. Though there’s precious little money in the agency, Merinda’s delighted with their work, and Jem’s happy enough to go along. Merinda remains fixated on roping Jasper into finding out more about the murder that encouraged her to start the business in the first place; Jem’s more interested in an informal and personal investigation of local writer Ray DeLuca, who hasn’t befriended the women nearly enough for Jem’s liking . Despite the leads’ enjoyable banter and the engaging premise, McMillan (A Singular and Whimsical Problem, 2015, etc.) tries to shoehorn so many different kinds of material into a single adventure that some of her most promising ideas end up insufficiently or imperfectly realized.